How secure, exactly, are iOS backup passwords? We measured the recovery rate or backups made by several different versions of iOS, and here are the results. As you can see, iOS backup passwords are pretty secure. With just 100 passwords per second (iOS 11, GPU acceleration), a simple 6-character password would take over a month to break – considering the password only contains of lower-case letters! 6-character password with at least one capital character and a digit would take several years to break. Don’t even dream of breaking longer/more complex passwords! 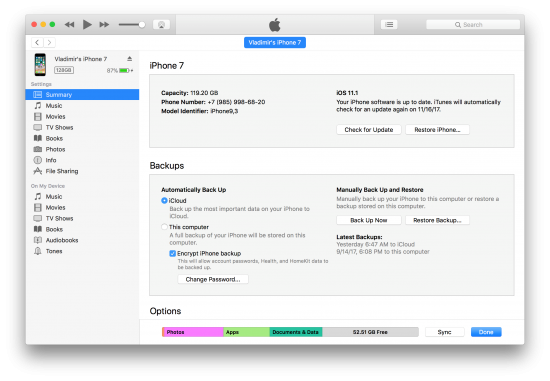 Prior to iOS 11, if you’ve got an iPhone and attempted to perform logical acquisition by pulling an iTunes backup, you would always face the risk of backup data being encrypted with an unknown password. If this was the case, your only option would be using Elcomsoft Phone Breaker or Elcomsoft Distributed Password Recovery to attack the original, plain-text password in order to decrypt the backup. Depending on the version of iOS installed on the iPhone or iPad you were extracting, the recovery speed would be slow or very slow, with iOS 10.2 through iOS 11 being the slowest. It is very important to note that, once a backup password was set, all versions of iOS prior to iOS 11 would not allow to remove or change that password without either providing the original backup password (that you may not know) or performing a full factory reset of the iPhone/iPad. In iOS 11, Apple makes it possible to simply reset the backup password on the iPhone. The procedure is simple. Unlock the iPhone with Touch ID, Face ID or passcode. Open the Settings app and navigate to General. Scroll all the way down and tap Reset. Tap and confirm Reset All Settings (iPhone passcode required if enabled). As you can see, resetting an iTunes backup password is fairly simple. All you lose are a few settings that aren’t all that important for the investigation, as well as the list of Wi-Fi passwords. All user data including the content of the Keychain (except Wi-Fi passwords) are preserved. It is important to know that this process does not wipe/invalidate existing pairing records (lockdown files); otherwise, with iOS 11 new security policy, that would require you to enter device passcode in order to establish a new pairing relationship between the iPhone and the desktop. As a result, you may use an existing lockdown record to perform logical acquisition; however, you would still need to enter device passcode in order to Reset All Settings. You can check if the backup password is enabled by either using Elcomsoft iOS Forensic Toolkit (the “(I)nfo” option) or with iTunes. Note, however, that iTunes may alter the content of the device by syncing it with the computer. In the following screen shot, you can see that “Encrypt iPhone Backup” is enabled. This means you’ll have to recover the backup password in order to decrypt the backup – or simply reset it on the device if it is running iOS 11. We recommend the following approach to performing logical acquisition of iOS 11 devices if (and only if) the backup is protected with an unknown password. Perform steps to create a local backup. You may still attempt attacking the original backup password. Disconnect the iPhone or iPad device from the computer. Unlock the iPhone or iPad device with Touch ID, Face ID or passcode. 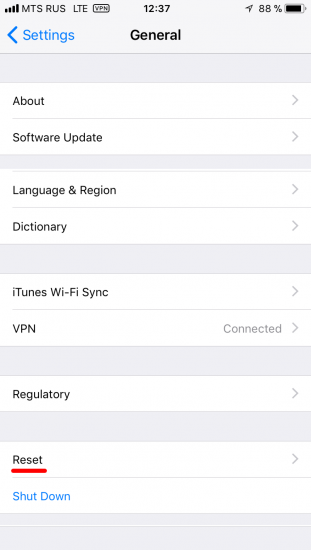 In Settings – General – Reset, tap and confirm Reset All Settings. Note: device passcode required (if enabled). Reconnect the iPhone or iPad device to the computer. (Skip this step if you have a valid lockdown file) You will be prompted to establish the trust relationship with the computer. Confirm prompts on the computer and on the iPhone or iPad device. (Skip this step if you have a valid lockdown file) You will be prompted to enter device passcode on the iPhone or iPad device. Provide the passcode to complete pairing. Once the pairing relationship is established, use Elcomsoft iOS Forensic Toolkit to create a new backup. Note: iOS Forensic Toolkit will set a temporary password of “123”; this will allow you to decrypt keychain items. You may use an existing lockdown file (pairing record) to create the backup. In our opinion, the new “feature” looks like a huge step backwards. 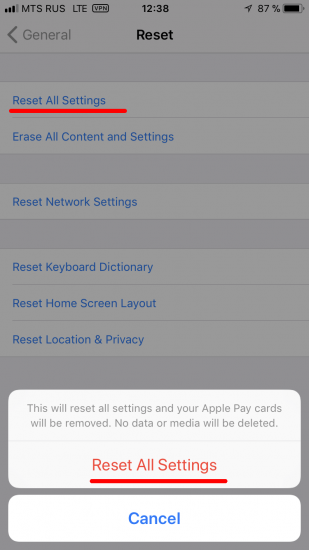 The ability to reset backup password allows anyone who can unlock your iPhone (and knows the passcode, if one is enabled) to pull the (mostly) complete set of data from your device, which includes your credit card data, passwords and tokens. In many cases this even includes the Apple ID token, which in turn opens access to almost everything in the cloud such as iCloud Photo Library. The passcode remains the only thing to protect your iPhone. If your passcode is compromised, the content of your iPhone is now open to anyone with access to the actual device. iOS 11 makes it possible to reset passwords protecting iTunes-style backups, which was never possible in previous versions of iOS. Interestingly (and somewhat counter-intuitively), the All Settings reset does not invalidate existing lockdown (pairing) records (the “Reset Network Settings” option does; apparently, Apple does not consider network settings to be part of “all” settings – so they should have named the feature as “Reset Some Settings” instead). If it would, you’d require to re-establishing trust relationship with the computer you’re to make the backup. Since iOS 11 requires entering device passcode in order to establish trust between the device and the computer, you would need to know the original device passcode in order to perform logical acquisition. Since pairing records are not invalidated, you may extract a lockdown file from the user’s computer and use it in order to make a backup (but you would still need that passcode in order to reset backup password). Thanks to Cindy Murphy from Gillware who first discovered that change in iOS 11, and to Mattia Epifani, the author of Learning iOS Forensics book, who pointed out to the article at Gillware. This entry was posted on Thursday, November 9th, 2017 at 5:39 pm	and is filed under Did you know that...?, Industry News, Security, Tips & Tricks. You can follow any responses to this entry through the RSS 2.0 feed. Both comments and pings are currently closed. I do not think so. That feature has been definitely added on purpose, for those who forgot their password (password recovery is nearly impossible task with iOS 11). That Apple article (describing how to reset iTunes backup password) has been updated just recently, right after iOS 11 release. I just tried it. It works, but it will also remove the passcode and Touch ID settings!